Something magical happens to fruit when you heat it up. Grapefruit is no exception. Heat it up and it’s a whole other animal. 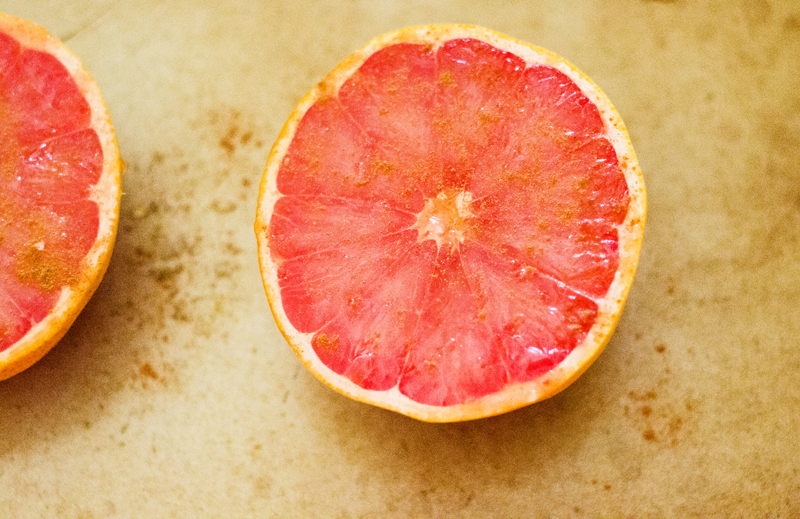 Most people either love or despise grapefruit. I get it. For years Up until my twenty sixth year on this earth, I was a big time grapefruit hater. I vividly remember my mom disliking them when I was growing up. This was the lady that told me I had to eat my lima beans. If she thought grapefruit was gross, who was I to argue with her. I put it in the must-taste-worse-than-lima-beans category I never really tried one myself. In fact, I openly feared them. It wasn’t until my mother in law offered me one over brunch that I reconsidered. I thought to myself, “Hey, I am a grown-up now. How bad can it be?” These are grown-up taste buds I like kale, now. I would eat a lima bean without supervision. It’s a new day. Sure enough, I loved it. I ate them every day for weeks. For all of you whose taste buds still just say NOPE, I think that baking your grapefruit might be the gateway you need to stop fearing this lovely citrus. The bitterness is practically baked out and what is left is sweet, juicy and a little bit tart. Did I mention there is a coating of honey and cinnamon on the top? Yum. 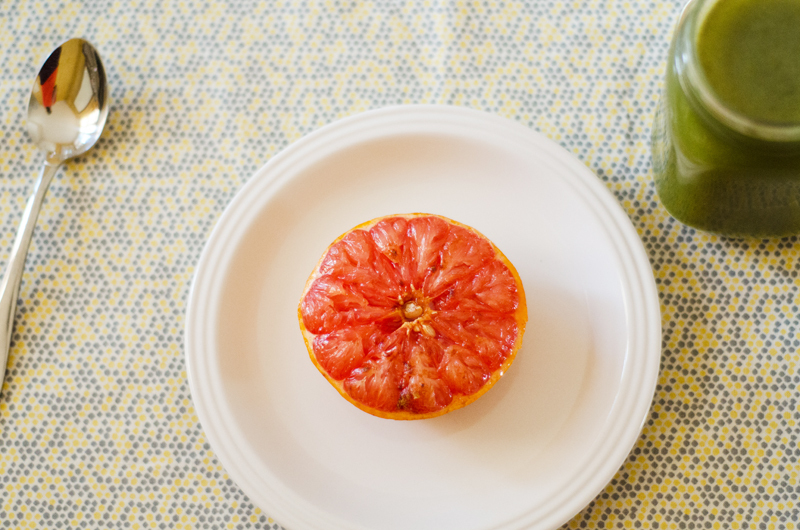 Slice open your grapefruit, and place it on a baking sheet. Add a slick of honey to the top of each half. Sprinkle with cinnamon. Yum this sounds great! I am going to try it tonight. What is that old saying? 101 times a charm? That must be it. Looks like I followed your blog just in time. 🙂 I’ve had a pretty strong distaste for grapefruit for the longest time, but have been slowly sneaking it in to my juices… however, because I go big or go home, I bought a big ol’ bag of them for like, $3 at Trader Joes that I’ve barely touched. Never thought of baking them, though! Definitely have to try this! this is a fantastic idea, ridiculously easy too! irresistible. Thanks, Swati! It really is super easy! There you go… making me try things that I thought I didn’t like and proving me wrong! Holy crap these were really good, so good in fact that I am including them in my post tomorrow with a friendly link back to you. Hope you don’t mind, but on my quest for simple food to uncomplicate my busy life these were a home run! 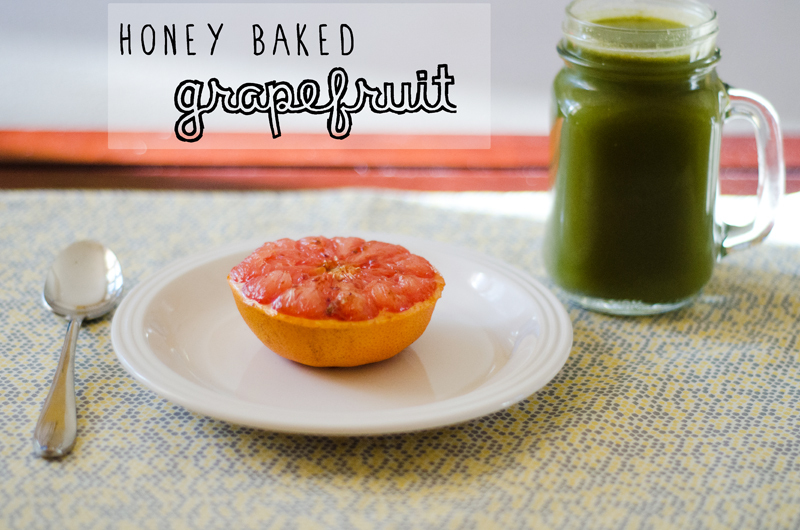 Thank you for sharing these…now if only my Trader Joe’s had a whopping bag of grapefruit for $3. Meg! 🙂 Yay! I am so glad that you liked them. Thanks for the link love in your post. Your grapefruits look so fancy! You basically bruleed the tops?! Holy YUM! Yes, the tops were bruleed…I like that fancy little burnt sugar crust it creates. Makes me feel sophisticated, haha! Thanks again for the post, and for changing my opinion on grapefruit. Oh, Jackie… If there was a juice place in Novato, I would be in some real trouble! !